Cloudehill Gardens provide inspiration throughout the seasons; from spring bulb meadows to summer perennial borders. 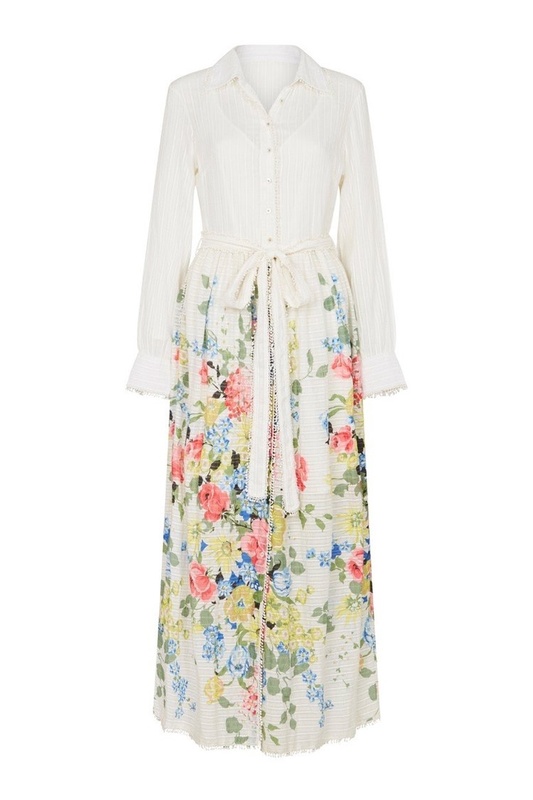 So what more perfect name for hands down the in-house favourite our ‘Cloudehill’ maxi shirt dress. Self striped textured cotton with vintage inspired lace detailing on collar and cuffs. Mother of pearl buttons with sweet contrasting blue stitch detail. Our own printed version of a summer perennial floral border finishes the bottom half of this perfectly fitting summer maxi dress. Softly fitted shirt and a full skirt to be worn loose or cinched in, button it up or down.